It is an elegant stylish and comfortable top for women. 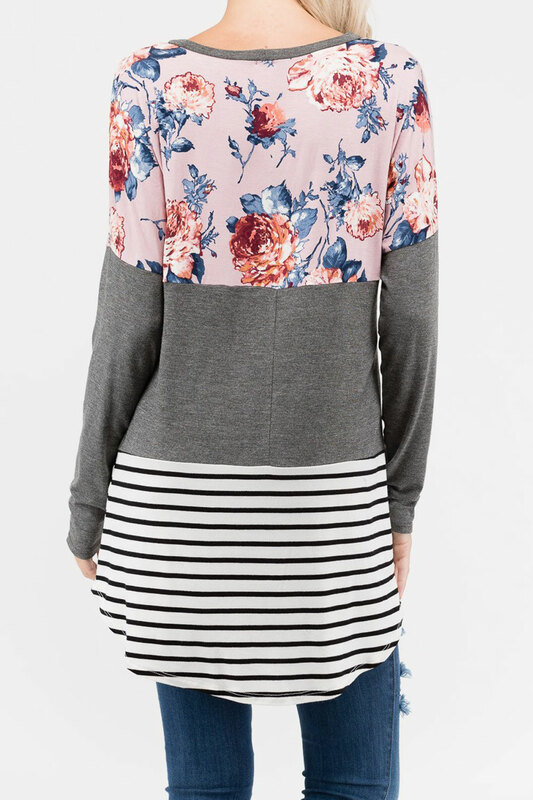 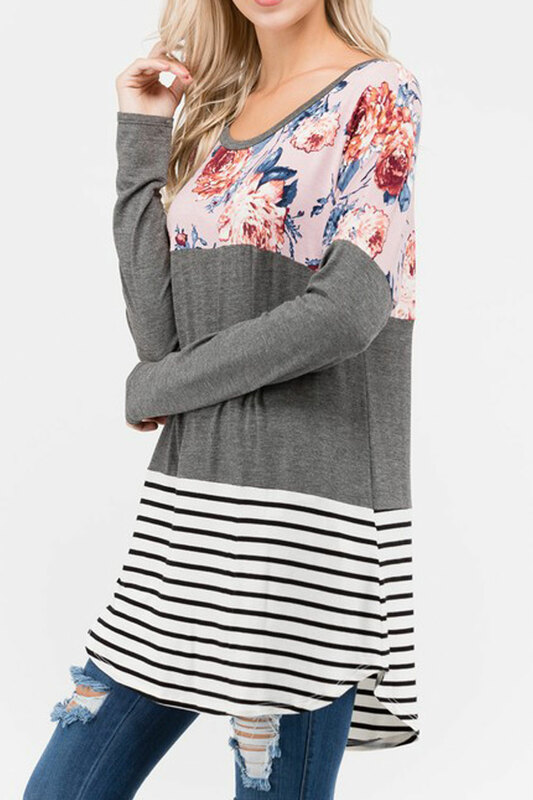 It features floral bust and striped hem with long sleeves and round neck. 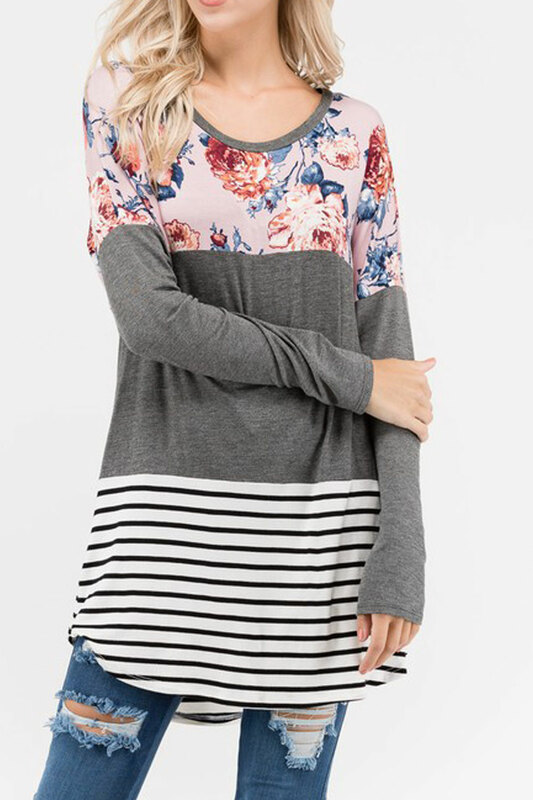 It will make you look stylish and attractive.